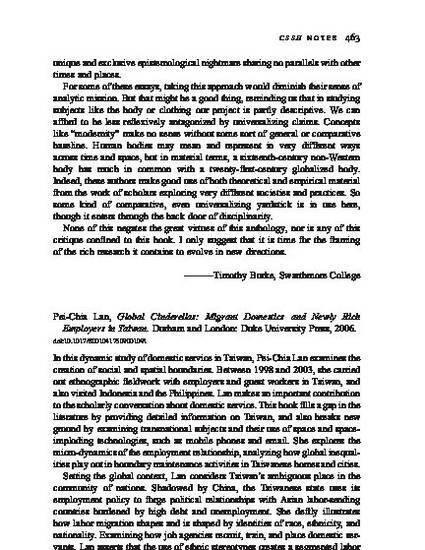 Reviews the book "Global Cinderellas: Migrant Domestics and Newly Rich Employers in Taiwan," by Pei-Chia Lan. Gamburd, M. (2009). Pei-Chia Lan. Global Cinderellas: Migrant Domestics and Newly Rich Employers in Taiwan. Comparative Studies in Society and History 51(2): 463-464.